I really wanted to go for the business woman look, but with a touch of color. This day was an exciting day. LLL met with Google at their office in Venice and with 3 other fashion blogs. You can find details about our collaboration on this post, “Google + “LA Fashion Bloggers.” Here is what I wore at the meeting. 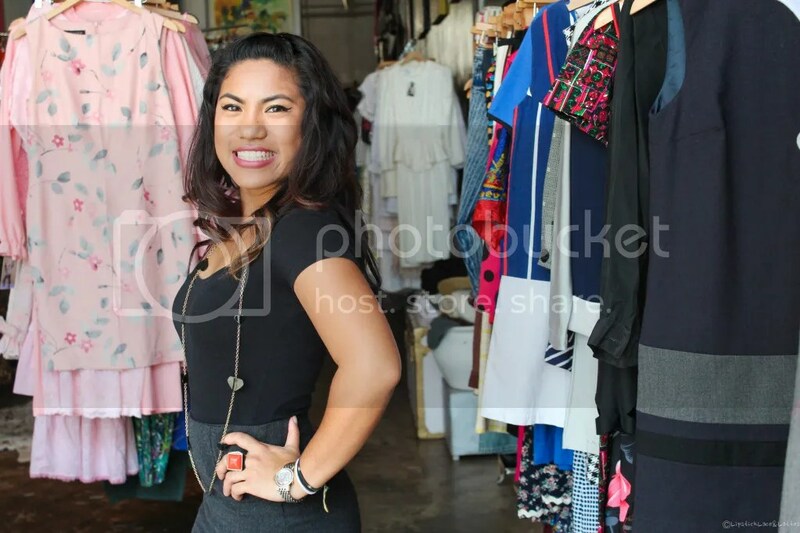 Taken by Lisa inside Modern Vintage Today [4306 Melrose Ave. LA, CA]. I wanted to wear the long pencil skirt for sophistication and class. The blazer is fun with a cute pattern and vibrant colors. I could have also worn it without the blazer for a more simple look. I love the black pumps, I actually got them from my friend, so I can’t even tell you what store because I don’t know. 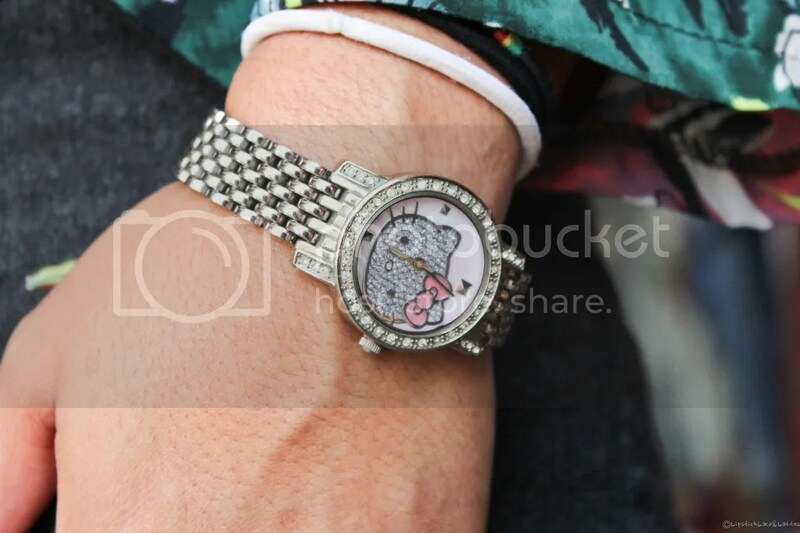 The hello-kitty watch was a gift to me from Christmas. The ring and bracelet are from Forever 21. If you want to achieve a more simple look here’s what it looks like without the blazer. I kept it somewhat simple with the accessories, shown in previous blog posts. I’m really happy to finally own some great black pumps. 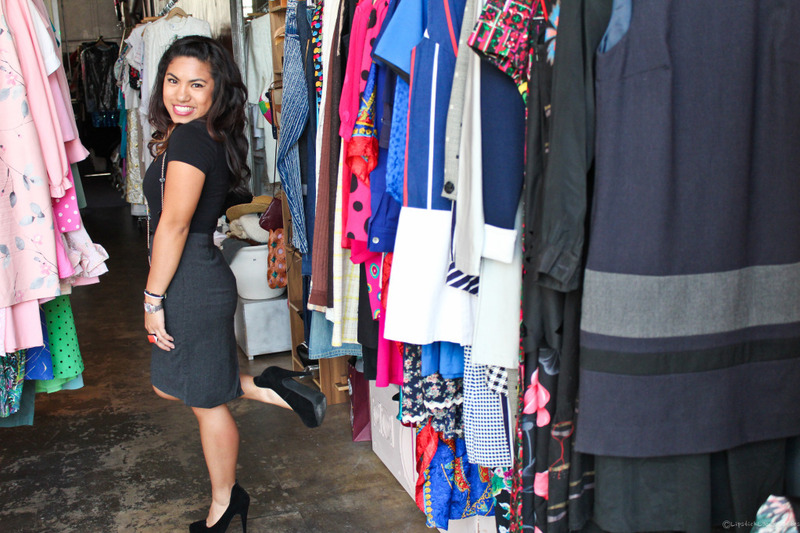 Every woman needs those classic black pumps in their closet! Hey! I LOVE your shoes and I think I found them! !